Folks at the United States Department of Agriculture’s Agricultural Research Service received an email Monday morning from their chief of staff telling them not to talk to the public about their work. The ARS solves agricultural problems, like balancing fertilizer and water use, developing healthier plants, and protecting the beloved honeybees. The email seems to join other attempts by the Trump administration to stifle executive agency communications. While this is being interpreted as a freeze on all communications with the public, the USDA-ARS press office wasn’t sure the email was any different from existing protocol. “The communication was shared with our scientists yesterday but there hasn’t ben a change in policy,” Christopher Bentley, director of the ARS’ office of communications, told Gizmodo. As for now, “it’s business as usual and information that routinely clears through the office of communications will continue to do so,” like public facing press releases and fact sheets, he said. However, he will be digging deeper today to determine if there were any changes. Meanwhile, the ARS’ twitter account has not sent a tweet since January 20. 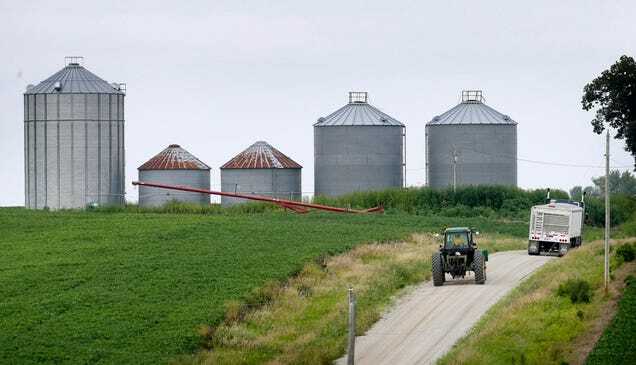 The Freedom of Information Act requires the USDA make almost all documents available to requestors—such a move surely stands in opposition to the act. However, just yesterday Gizmodo reported that the Trump Administration froze all EPA grants and told staffers not to speak with the public. BuzzFeed points out that the agency funds some projects relating to climate change, such as cutting greenhouse gas emissions from cows. President Trump tapped former Georgia Governor Sonny Perdue to lead the USDA—Perdue wrote that climate change has “become a running joke among the public, and liberals have lost all credibility when it comes to climate science” in the National Review in 2014. As this news only just broke, Bentley requested more time to look into the email. We will update the post from when we hear back from him and the other USDA-ARS folks we reached out to. Update 1:33PM: Bentley sent Gizmodo this formal statement in an email. ARS issued an internal email to employees on Jan. 23 (text follows below) about Agency informational products like news releases and social media content. Scientific publications, released through peer reviewed professional journals are not included. As the U.S. Department of Agriculture’s chief scientific in-house research agency, ARS values and is committed to maintaining the free flow of information between our scientists and the American public as we strive to find solutions to agricultural problems affecting America. Information on our projects, people, and locations are available on our website as always, at www.ars.usda.gov. Hello again All - Starting immediately and until further notice, ARS will not release any public-facing documents. This includes, but is not limited to, news releases, photos, fact sheets, news feeds, and social media content. Please contact Director of Communications Chris Bentley with any questions about this guidance. Please also transmit to your employees as soon as feasible. The ban was not reviewed by Michael Young, deputy administrator of the USDA, who would “not have put that kind of guidance out” according to the Washington Post. However, one source told Gizmodo that some restrictions still remain. “We are still embargoed from certain forms of communications, such as posting any notices in the Federal Register,” said the US Forest Service Director in an email, who requested their name be withheld. (The Forest Service is part of the USDA). On top of new regulations, officials occasionally “notify the public of public meetings, meetings of Federal Advisory Committees (FACA) and contract offerings (for the Forest Service, stuff like timber sales),” in the register.